The name of the show is Real Estate Radio Los Angeles. But I thought it would be fun to look outside of LA and talk about real estate in another part of the country. Some of you might actually call it another country [laughter], but it's still part of the good old U-S of A. I'm speaking of Texas. Houston, Texas that is. 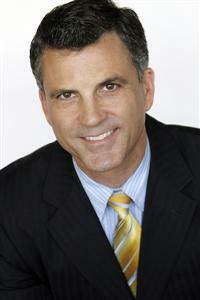 And joining us from the Lone Star State is Mark Maniha, a real estate agent with John Daugherty Realtors. Mark and I go way back. In fact, I've known him since we were in college together at Texas A&M - yeah, go Aggies. And in addition to being a proud Aggie, Mark is a third generation Houstonian, and has been selling real estate for 25 years, 18 of them with John Daugherty Realtors. Mark is also a top producer and will soon be hosting his own radio show in the Houston market. Mark Maniha, welcome to the show. I'm excellent. Thanks for joining us. Thank you so much for having me on. That's quite a buildup. [laughter] The country of Texas, I should be saying yee-haw [laughter]. That's right. Or howdy y'all. All right, this would not be a normal conversation with you Mark if I didn't first ask you the thing I always ask you because I love goading you. What is the temperature like in Houston, Texas right now [laughter]? Oh, that's cruel coming from Southern California. So, so cruel. Yes, it's very humid here and very hot. Although it's going to be raining today so we're actually probably in the low 80s I think today. So it's not terrible. Call me in August and then you can really get a good laugh [laughter]. That's right. Well the-- You know why everybody doesn't live in Southern California, right? Because they can't afford it? Because they haven't been here yet [laughter]. Actually I have to say Todd, the nice weather in Houston has been building over the several years. It's interesting, our quote "winter months" from like November actually have spread. The cool weather is actually gone into early May believe it not. So we're getting better. We're sneaking up on Southern California but we're not there yet for sure [laughter]. Not quite yet. All right so Mark I thought we'd play a little game today. I think it would be fun for my listeners to-- for us to hear about what's available in Houston. So why don't you tell me about a property you can get in Houston, and tell me the price at the end. Okay, so I want you to explain it, describe it, maybe that one we talked about the other day. And then at the end tell me the price, and then I'll tell you can get for that same price in the LA market. So go ahead. Okay, perfect. We have a property it's actually in one of the more further suburbs from Houston-- south of Houston-- in Fresno, Texas. It's about 20 miles south of the central business district, it's about a 32-minute drive. This property, it's an over 15,400 square foot home built in '02, and completely refurbished in 2013. Seven or eight bedrooms, eight full baths, three half baths, six car garage. Has an indoor basketball court, and it's on over seven acres of land [laughter]. That's amazing. I just want to pause for a minute here, and let my listeners think, "What would that cost in the Los Angeles market?" Now Mark, please tell us, in the suburbs of Houston, Texas, what can you get that for? Todd, that property is currently listed at 2 million, $395 thousand dollars [laughter]. Which would be a mere garage apartment in Beverly Hills [laughter]. So $2 million. Okay Mark, I just took a look here in the LA market and I have found a $2.2 million listing. It's up in the Bird Street, so that's a very nice area above the Sunset Strip. And for the-- let's see, you're place was what? 15 thousand square feet? How many acres were you talking about there? That would be over seven Todd [chuckles]. You know, enough for the cattle, all the things that people think that we in Texas always have [laughter]. And the oil well in the back yard, right? That's funny. All right, well, of course there are really nice areas in Houston and we've wanted to show the difference there. But there's like a Beverly Hills of Houston, right? River Oaks? That's right, River Oaks is sort of the old money area of Houston. We actually have several very posh neighborhoods of Houston, but River Oaks is sort of the top. All right, so do you have any homes from those neighborhoods that might be something my LA listeners might be able to relate to? I do. I'm actually going to talk about one that not only is a home that would be a little bit more befitting of a lot of the high end LA clients, but also it has a Hollywood tie to it. This would be a home in River Oaks. It is just under 12,000 square feet, on 2.8 private acres. Interestingly enough, with all that, it's a three bedroom [laughter], with eight full baths and four half baths. But what's really neat about it is are the grounds. It has this, literally, resort-like grounds including not one, not two, but three swimming pools. Including one that is believed to be the largest-- or one of the largest private pools in the United States. It's literally-- it's man-made but it's almost like a lake but it's a swimming pool. It's so big it has a boat in it and I'm not talking about like a little kids boat. I'm talking about like a bass boat [laughter]. In the lake. Truly. I almost think you could water ski in this swimming pool [laughter]. Anyway, it-- and also, the Hollywood tie. In 1973 the film, The Thief Who Came to Dinner, starring Ryan O'Neal and Jacqueline Bisset was filmed here. Oh. That's cool. That is a nice Hollywood tie. A Hollywood tie, and it can be yours today for a list price of 14 million 500 thousand. All right. Now, we are back in the LA prices. That's awesome. That's right in River Oaks? And that's right in River Oaks. So, that's real near town. That's in our kind of old guard neighborhood. Very close to downtown, right in town. But interestingly enough, that's not the most expensive one. Currently, even beating River Oaks right now, is we have a home listed out in the Woodlands. Now the Woodlands is a sparce suburban community that was built by oilman George Mitchell, starting in the late '70s, that has evolved into this absolutely gorgeous large community north of Houston. It's about 33 miles north of Houston. It's about a 45-minute drive normally. And there is a house out there, on the market currently, that was built in '06. It's 30,700 square feet, on 4.2 acres. It's either 10 or 11 bedrooms, with 13 full baths and 5 half baths. A six-car garage, a four-car carport, three elevators, a movie theater. This is truly a home befitting Hollywood, for sure. It's currently on the market for 16.8. And there's a Houston connection there, too, right? There is a Houston connection, yes. Suzanne Saperstein, the owner of that property, a long-time Houstonian, she and her former husband, David Saperstein, who built Fleur-de-Lys. And I have to hand it to that lady. She stuck to her guns. She put it on the market and put a price on it and she just sat there with her hands crossed and waited. And then ended up selling it with multiple offers. And ended up selling with-- really, I have to hand it to her. And hats off to Suzanne. But we really don't see that in Houston. Like I said, we may top the 20 million or right at the 20 million mark, but we don't see anything past that yet. By the way, you're listening to real estate radio, Los Angeles. And I'm your host, Todd Jones. This is where we pull back the curtain and give you a behind-the-scenes look at real estate, finance, and offer you trusted advice. You can catch this show ,and past shows, at my website at toddjonesradio.com. We're engaged in a riveting conversation with Mark Maniha from Houston, Texas. He's a realtor there and he's telling us about some of the high-priced stuff you can get in Houston. And I want to talk to him a little bit more about what the average Joe can get. Because if you're listening and you're thinking about moving out of this beautiful state, or maybe you're been transferred to Houston. Mark would definitely be the guy to talk to. As you've heard him talk, you can see he is an expert in the area. One really cool thing about Mark is not only does he know real estate, and he's been doing it for 25 years, but he also has great stories to tell. He knows a lot of the history about the different areas and the homes themselves, and it does make it even more enjoyable when you're buying a house. So Mark, I want to ask you, do you have any specific areas that you specialize in? Actually, real estate is where the business takes you. I do sell in the River Oaks area, which we've talked about. Really primarily through the west-side of Houston. I mean, I could give you a lot of different neighborhood names, but I don't know if that would mean a lot to your LA listeners. Right. But it's basically the west-side. Now if somebody wanted to move into an affordable neighborhood, three bedroom, two bathroom house, how much money are they looking at for something like that in what people would consider a nice area? Sure. Actually, there's a very nice neighborhood in west Houston called Briargrove Park. It's a neighborhood of about 1300+ homes. For instance, they could get a four bedroom, two and a half bath home of maybe 2700 feet - sort of like the one you were talking about in the Bird Streets, although on a bigger lot, for sure - and the houses in Briargrove Park, you're probably talking about right at 550, 600,000 I guess. Depending upon the house. Exactly. So that actually doesn't sound too far off of the LA market. Well you can't get much for 200 in LA [laughter]. No, you can't. Texas of course - as you remember - is basically fairly flat and we really don't have any boundaries that are going to keep us from growing. So Houston just keeps expanding, and expanding, and expanding. And so that does make for a lot of possibilities in real estate for people. One day I think we'll see the emerging of Dallas and Houston. It's just going to keep-- they're both going to keep growing until they touch each other. Right now looks like we're going to merge with San Antonio into our west.That's where we're really or truly moving is the west side. Continually going on and on. And it's truly flat out there. It's funny. Hey Mark, I would love to for a minute about where we went to college. We went to Texas A&M. We're both Aggies. --Texas which is about an hour and a half northwest of Houston. Almost home of Johnny Football [?]. That's right. I talked about him on my first show. Good old Johnny Football. Looks likes you and I will be having to watch the Cleveland Browns now I guess, right? Well, hopefully he'll do some stuff. I was showing my son-- which ironically enough he didn't know I was talking to you today, and he's wearing a Texas A&M jersey. So you can see I've already started [chuckles] the brainwashing. It was like with my dad. He was like, "You can go to any college you want to, son, and I'll pay for you to go to Texas A&M [laughter]." That's right. And funny how you did. Yeah, exactly. And I was happy to go there. It was a great school. Do you happen to have any good Aggie jokes for us? No, I don't. I'm sorry. I really don't at the moment. I'm out of the Aggie joke loop myself. I have to think of a good one. The one thing I miss from Texas the most is Blue Bell ice cream. Yes. From the creamery in Brenham. We have a local Texas A&M club here. I'm on their email list. And they actually had a party last week that I couldn't make it to. It was at a place that claims that they're the only place in LA that serves Blue Bell ice cream. So I'm going to have to go check that out. You know for anyone from Texas, and especially anyone from around the Houston area, that would be a huge venue. Mark is there anything else that you want to share with me in the Houston market? I've been told that there is actually 12,000 people moving to Houston a day. Is what I've been told. And the problem is we've had 34 months of successes, market growth every month for 34 months. But that ended in May this past May. Not because the market suddenly stalled or whatever, lack of inventory. That's our biggest problem. We have the same challenge out here. If you're thinking of moving to Houston specifically, and you need a realtor out there, reach out to me. I'll put you in touch with Mark and make sure that you're well taken care of. Mark can help you all over the Houston area. And if it happens to be an area he doesn't work in, he can certainly refer you to another trusted agent down in that area. Mark thank you so much for coming on the show. Todd it's been a pleasure as always. And certainly, as you know, I absolutely Southern California, love LA. And so a big cheers out to all the listeners today. Very good and I'm confident that when you start your radio show in the Houston area it's going to be fantastic. All right, excellent. You going to have me as a guest on your show? I would love to have you as a guest on the show. Perfect thanks a lot Mark.